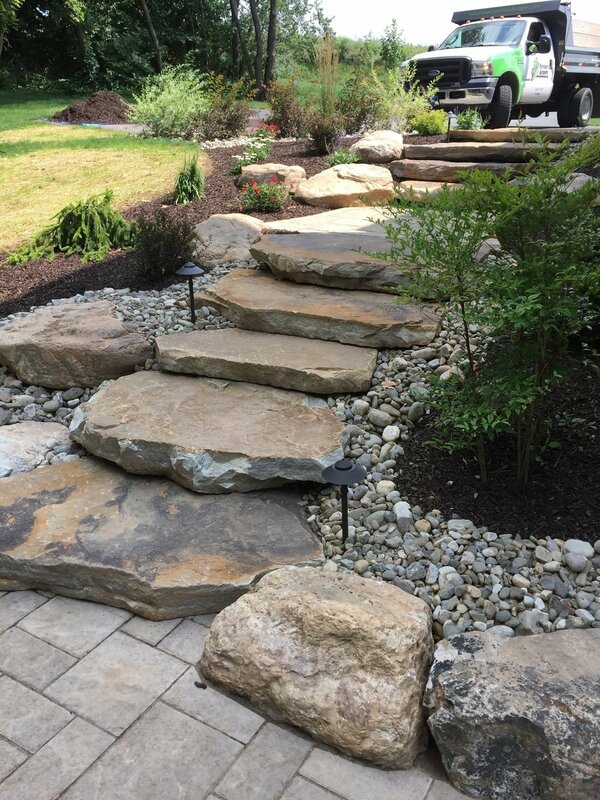 Clean and finely designed pathways blend into a natural incline, utilizing the modern and safety-enhancing outdoor lighting fixtures. 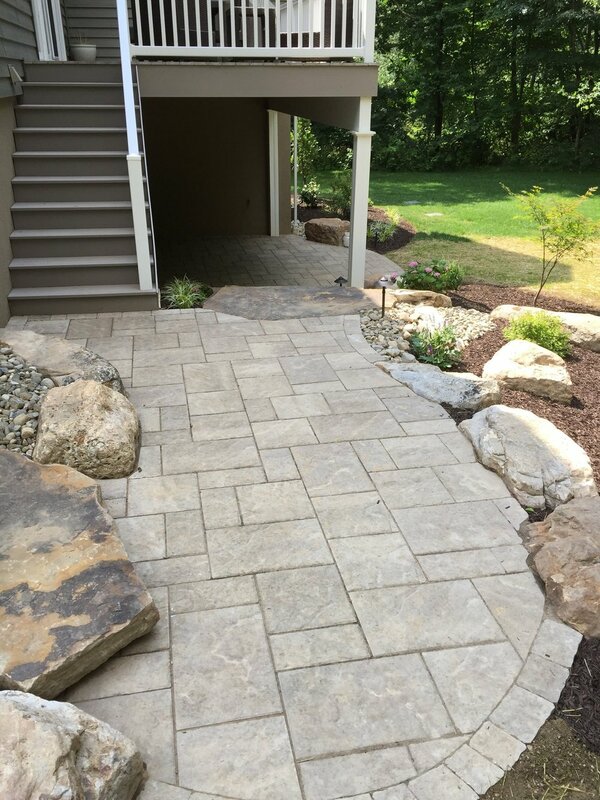 This pathway features even, geometric walkways but contrasting, naturally cut stepping stones to add color and style to the environment. 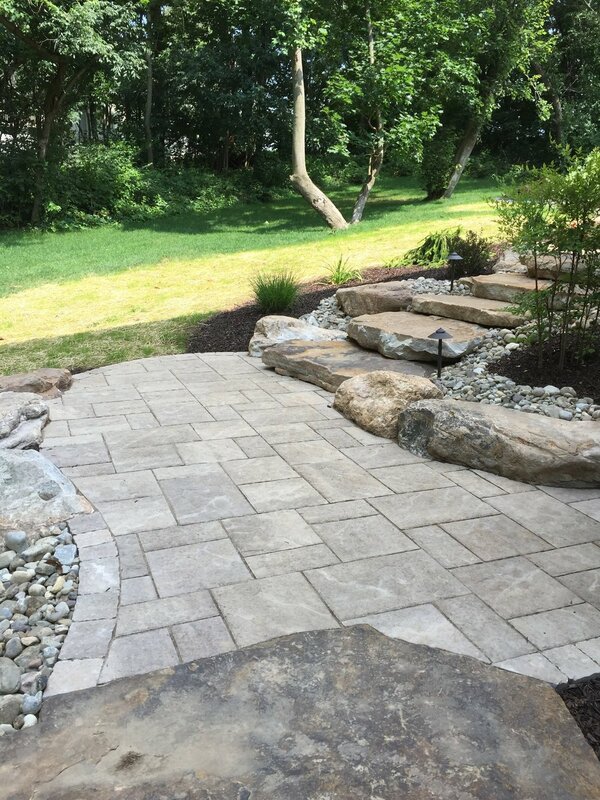 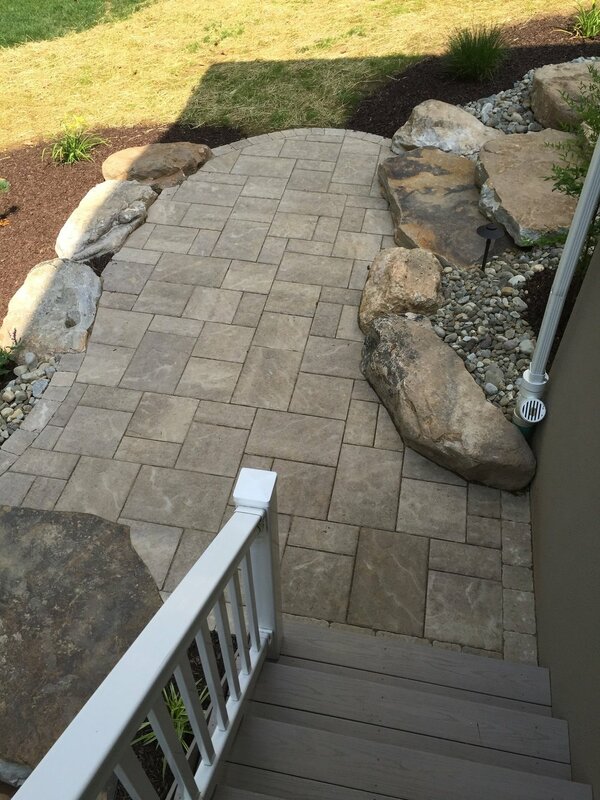 This walkway improves both the practicality and artistry of the yard itself.